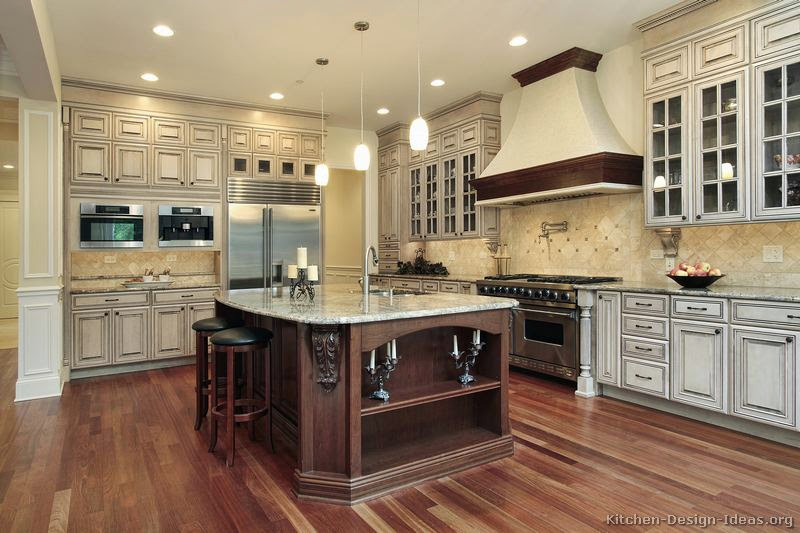 Of the unique painting services we offer at Cabinet Refinishing Denver is kitchen cabinet painting. 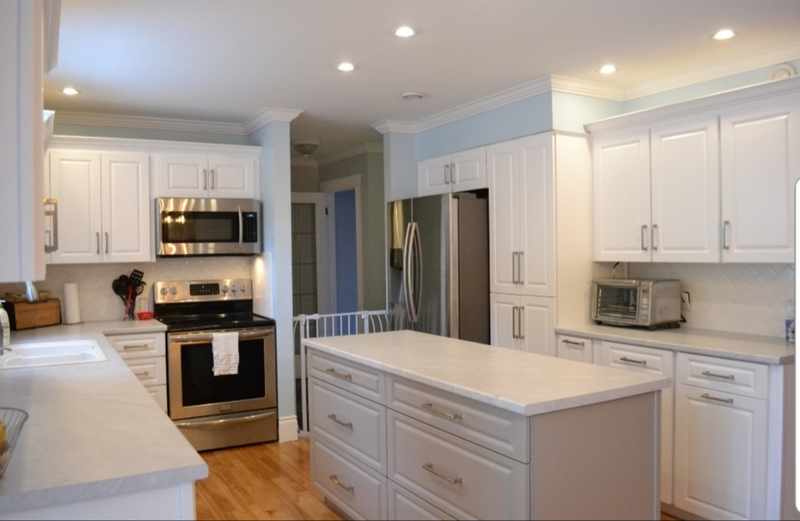 Clients who are doing renovations or updating other aspects of their kitchen often don’t want to spend the cost of new cabinets but they still would like a facelift to their old cabinets. New cabinets seem like a waste, as there’s nothing wrong structurally with their old cabinets, so kitchen cabinet painting is the best alternative. 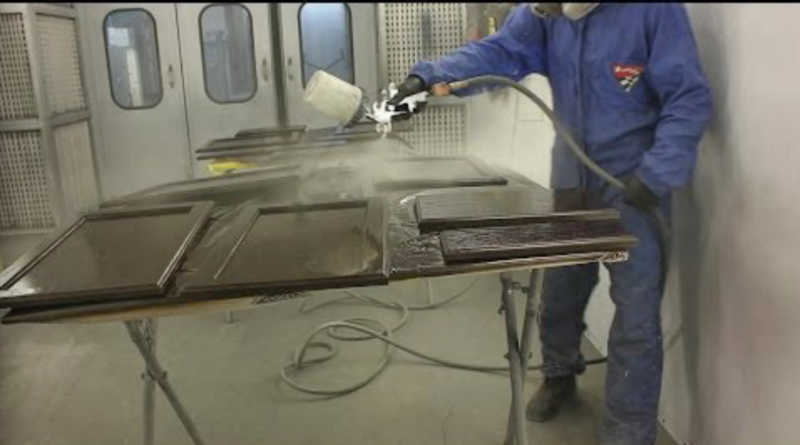 All of our cabinet painting is handled by professionals at our cabinet spraying shop. This ensures the best possible finish is achieved when spraying your cabinet doors, drawers and cabinet bases. All cabinet priming is done using a pre-catalized epoxy based paint which is stronger then traditional melamine paints used on cabinets by some companies. This product is durable, offers two styles of finish and cures in only 7 days Vs 30 days for regular acrylic based house paints. We can match most any colour you’d like for your cabinets, so let your imagination run wild! 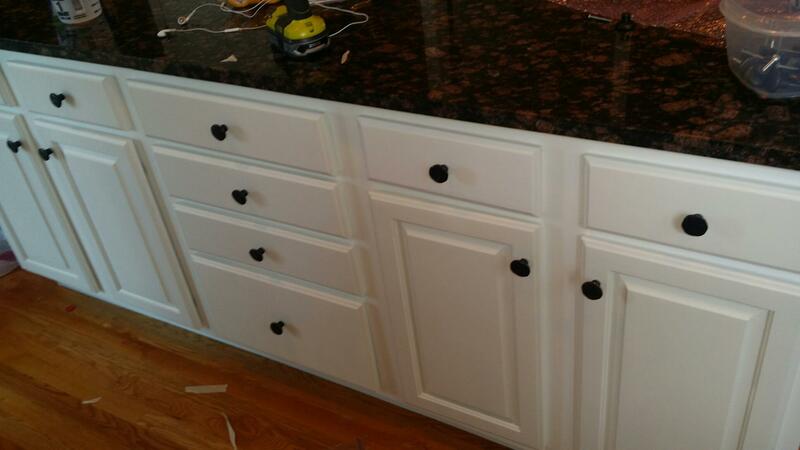 Here at Cabinet Refinishing Denver we will come to your home and provide a custom estimate for your cabinet job or even better if You can text as the number of doors and the number of drawers with pictures we can get you an accurate price immediately. The cost is based on the size of yoru cabinet doors, number of doors, current condition and what coating/product is on the doors now. Cabinet Refinishing Denver provides superior kitchen cabinet bathroom cabinet refinishing in Denver Colorado Including all surrounding cities that includes :Highlands Ranch CO, Parker Co, centennial Co, Castle Pines Co, Castle Rock Co, and all of Douglas County, Lakewood CO, Littleton Co., Jefferson County, Arapahoe County, Adams County and all of Denver County, Centennial CO, including Boulder Co, Fort Collins CO, Colorado Springs CO and the entire state of Colorado. Much of the work to get a fantastic finished product comes from the preparation of your doors prior to painting. 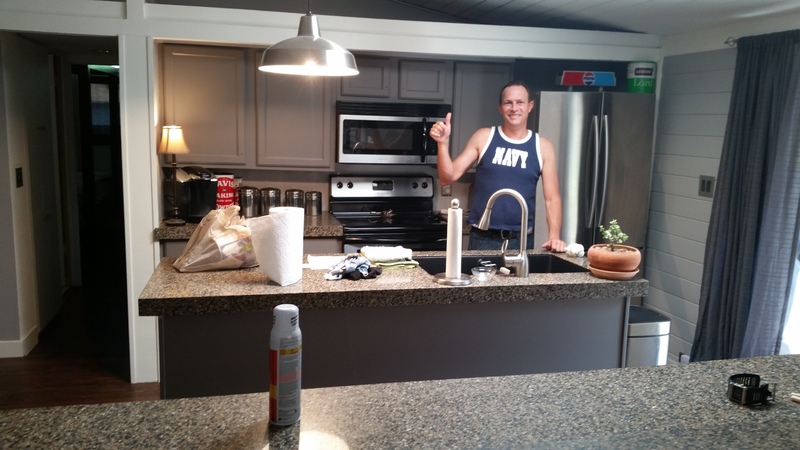 Marc has years of experience in spraying cabinet doors and knows how to prepare all surfaces to produce an amazing finished job. 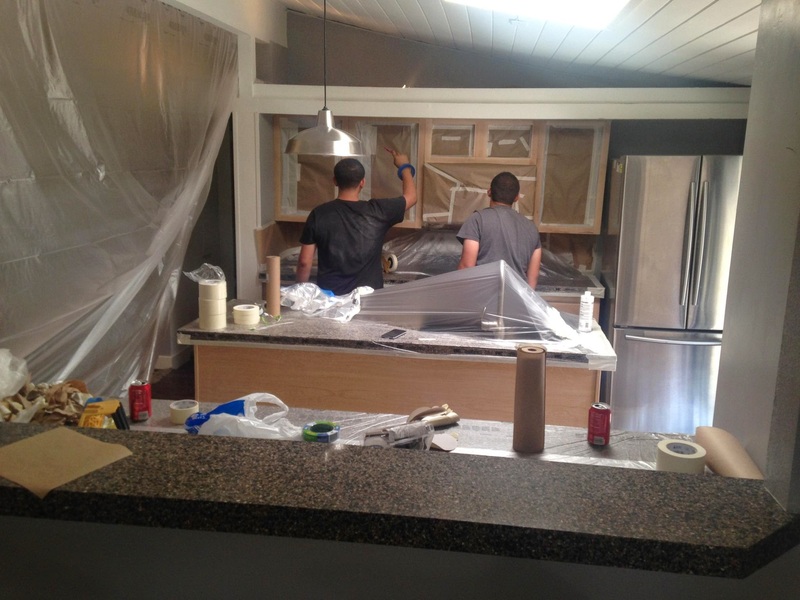 Your doors are removed and taken to Cabinet Refinishing Denver spray shop where they are prepped and painted. It takes approximately up to 6 coats at times to produce the desired finish. If you have framed kitchen cabinets (there’s a vertical piece of wood between the doors) then those surfaces will be painted on site using a HVLP fine finish spray guns. 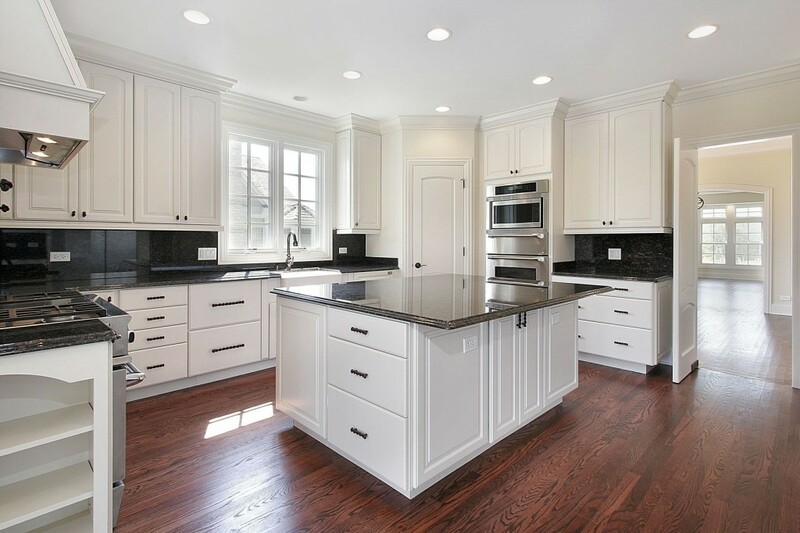 If you’re thinking of refinishing or painting your kitchen cabinets give Cabinet Refinishing Denver a call at 720-219-9716 We’ll provide you with a risk free estimate and answer any of your questions or concerns on the cabinet painting process. We look forward to hearing from you. Cabinet painting at Cabinet Refinishing Denver can help you upgrade your Colorado Kitchen, the look of your kitchen at a fraction of the cost compared to replacing your kitchen cabinets entirely. 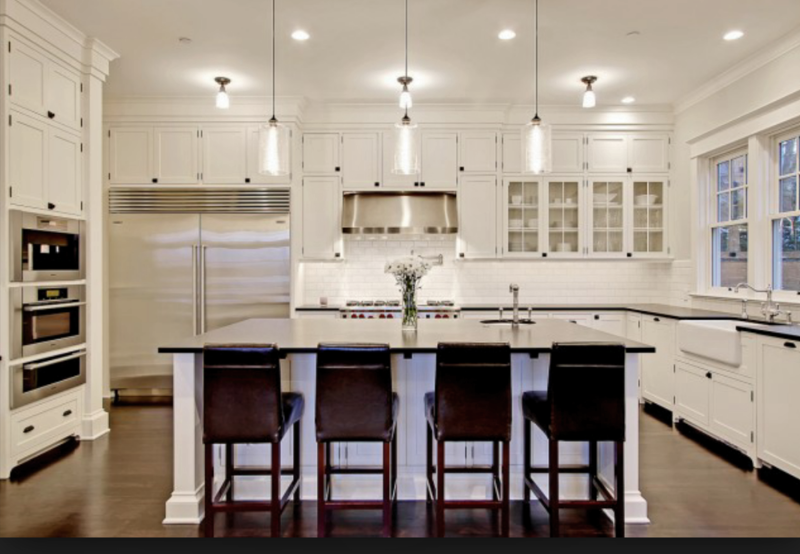 As long as your cabinet boxes are in good shape and you like the layout of your kitchen, refinishing or cabinet painting at Cabinet Refinishing Denver allows you to change the cupboard doors, drawer fonts and other exposed panels. 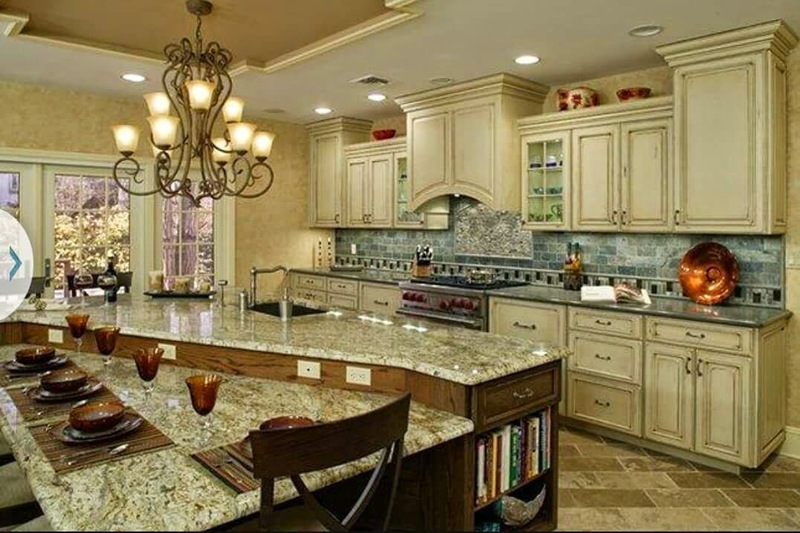 We will work with you to create the new kitchen of your dreams and if you’re looking for the right company to get the job done right the first time, call or email us today.